With a family association to the University of Sydney spanning more than 128 years, and as a science graduate from the University herself, Margaret Stibbs knew there was no better place to make a generous donation to fund a new lecture series in memory of her eminent husband - astronomer Professor Walter Stibbs. Professor Walter Stibbs studied at the University of Sydney completing his Bachelor of Science with first class Honours and the University Medal in Physics in 1942 and his Master of Science in 1943. 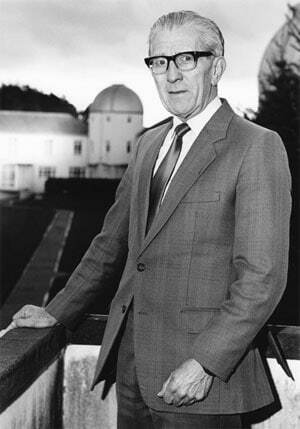 Professor Walter Stibbs in the year of his retirement (1989) from the Napier Chair of Astronomy at the University of St Andrews, in Scotland. Professor Stibbs went on to become an astronomer of international standing who held the Napier Chair of Astronomy for thirty years at the University of St Andrews, in Scotland, and the associated post of Director of the University Observatory. The new Professor Walter Stibbs Lectures will bring one or two distinguished astronomers to the University of Sydney each year to present a scientific colloquium on astrophysics to the School of Physics, plus present a public lecture open to everyone. The Walter Stibbs Lecturers will also meet with astronomy students in the School of Physics to hear about the students' research and provide advice. "There was really no question of donating anywhere else, as my husband, my sister and I were all Science graduates of the University of Sydney and this really gave us an excellent foundation for our future lives," said Mrs Margaret Stibbs, wife of the late Professor Walter Stibbs. "We decided to set up this lecture series as it will be very helpful for students and staff to hear from successful astronomers and to be exposed to their new ideas - this interaction could well lead to further significant research work in astronomy in the School of Physics at the University of Sydney," said Mrs Stibbs. "Astronomy is a popular subject with the general public and needs public as well as government support for further development and new research projects. Also these public lectures may, in turn, attract future students to the School of Physics, which will in turn produce significant results for astronomy research." The selection of astronomers as Professor Walter Stibbs Lecturers will be made by the Director of the Sydney Institute for Astronomy in the School of Physics and the Director of CAASTRO - the ARC Centre of Excellence for All-Sky Astrophysics. Professor Bryan Gaensler, Director of CAASTRO, said, "The thing that most excites me about Mrs Stibbs' generous gift is that our students will now have the chance to meet and talk to some of the very best astronomers in the world. The new research they will learn about, the career advice they will receive and the people they will meet will all be vital in developing their plans and future prospects." 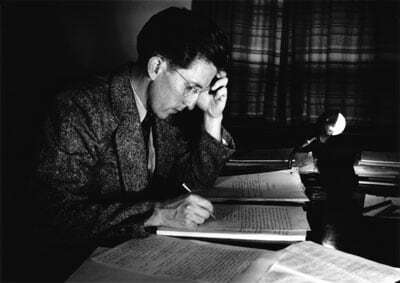 Professor Walter Stibbs writing his highly regarded textbook 'The Outer Layers of a Star' - pictured here in Canberra in 1950. "There is so much happening in astrophysics around the world, and it's happening so fast. It's vital that we all keep up to date on the latest breakthroughs, and this can't be done just by reading articles and papers. Having leading astronomers spend time visiting us will build new connections and provide new insights into cutting-edge research," said Professor Gaensler. In addition to his research career in astronomy, Professor Walter Stibbs was an active advocate of his field through numerous channels including serving as a member of the Council of the Royal Astronomical Society in the 1970s and Vice-President in 1972-73, serving as a member of Council of the Royal Society of Edinburgh in 1970-72, Chairman of the Finance Committee of the International Astronomical Union, Chairman of the Astronomy Policy and Grants Committee of the former Science Research Council in the UK, and Chairman of the Science Research Council's Northern Hemisphere Planning Committee in 1972-75. He held visiting Professorial appointments at Yale University Observatory, the University of Utrecht and the Collège de France where he was awarded the Médaille du Collège in 1976. He was also a member of the Centre National de la Récherche Scientifique (CNRS) Committee, Observatoire de Haute Provence, of which he was the first foreign member. It's a fitting tribute to Professor Walter Stibbs that the lectureship includes public lectures, so the general community can meet and engage with the latest in astronomy research. "Almost all the research that scientists do is funded by taxpayers, so it's crucial that the public be told what their money is being spent on, and that they be excited and happy that it's being spent in this way. Plus astronomy is something that everyone is interested in and is a great gateway to everything else happening in science," said Professor Gaensler. 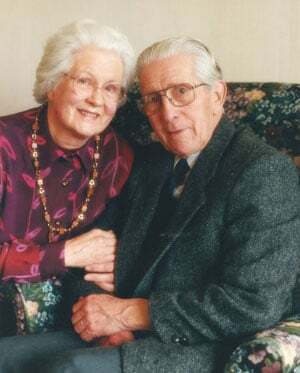 The retired Professor Walter Stibbs, at age 80, with his wife Margaret Stibbs in June 1999. "Finally, Professor Stibbs was a great Australian scientist with a huge legacy, and it is important that we continue to recognise his contributions," explained Professor Gaensler. "Donations like this fill a unique niche. Student training and scientific collaboration aren't just about conferences and observing runs - they're about sharing ideas and making new links. Philanthropy is an opportunity to stimulate new directions, even when you're not sure yet what those directions might be. And ultimately, that's how the big discoveries often happen."